Join us for a Kentucky Derby Viewing Party on Saturday, May 4, 2019. Tickets are $50.00 per person. Catering by the Barefoot Gourmet! Bet on the Horses and win fabulous prizes! 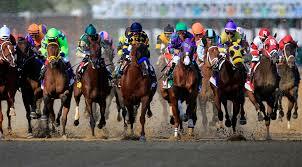 Kentucky Derby Viewing Party on Saturday, May 4, 2019. If you have something you'd like to share about an experience at High Horses, please email Program@HighHorses.org or post on our Facebook page. We might include your story on our website so please send a photo too!